Magic Squares are ancient boxes of numbers whose sums of rows, columns and diagonals all add up to the same sum. This matrix represents Perfect Equality in all directions or dimensions. Elegant or aesthetically pleasing patterns can be created when a long, continuous line is joined in arithmetical order from 1 to 2 to 3 to 4 etc. to the last number. This is how Mathematics is transformed into Art. Lines connecting consecutive or sequential numbers is the backdoor into the world of Atomic Art or Nuclear Geometry. Atomic structures are scientifically verified as order is created out of chaos. The ancient Magic Square of 3 x 3 (also known as the ‘Lo-Shu’ in ancient China, C17th BC) is the centre of the Tibetan Calendar/Cosmology. It is a timeless mathematical harmonic whose sums of the columns, rows and diagonals all add up to and vibrate to 15. 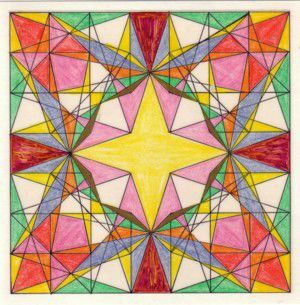 Symbolically this Magic Square creates Order amidst Chaos, and Equality in All Dimensions. I believe also that this is the oldest mathematics on the planet that is visible or tangible, in contrast to the Vedic Stream of Knowledge that states all the Vedas were written on the rays of the Sun, but the knowledge is not actually written down visibly, thus the Chinese Magic Square is the source and the oldest record that we have. Jain has authored 4 books on this subject which translates Numbers into Art, by merely connecting the first number (1) to the last number (9). This is the Path of Least Resistance. Exquisite Atomic Art patterns are created that are inherently encoded with much Ancient Knowledge. When you “Translate Numbers into Art” elegant and phi-ratioed patterns appear. Hidden atomic structures are revealed which are often symbolic of life’s journey. 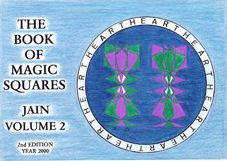 By drawing a long connecting line from 1 to 2 to 3 etc to the last number, then tiled or tessellated, you will produce the atomic structure of Diamond (which is verified by the clairvoyant drawings of the Occult Chemists: Charles Leadbeater and Annie Besant. 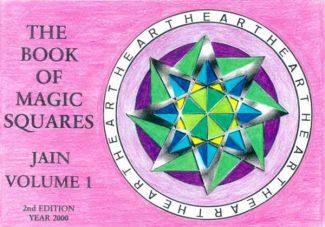 Jain has produced many books on Sacred geometrical subjects including two volumes on magic squares.